From time to time, you will be asked to submit personal information about yourself (e.g. name and email address) in order to contact Scope Property Services. By entering your details in the fields requested, you enable Scope Property Services to provide you with information you require. Whenever you provide such personal information, we will treat that information in accordance with this policy. 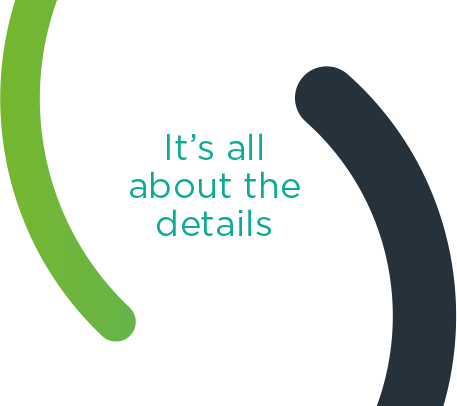 When using your personal information Scope Property Services will act in accordance with current legislation and aim to meet current Internet best practice. If you provide the email address of a third party to Scope Property Services, we understand that you have permission to use this email address. Links to other web sites included on www.scopeproperty.co.uk do not imply any endorsement, validation or responsibility by Scope Property Services as to the content or privacy policies of such sites. We cannot guarantee that these links will work all of the time and we have no control over the availability of the linked pages. When you supply any personal information to www.scopeproperty.co.uk we have legal obligations towards you in the way we use this data. We must collect the information fairly, that is, we must explain how we will use it and tell you if we want to pass the information on to anyone else. In general, any information you provide to Scope Property Services will only be used within Scope Property Services. Your information will be disclosed where we are obliged or permitted by law. Also, if you post or send offensive, inappropriate or objectionable content anywhere on or to www.scopeproperty.co.uk or otherwise engage in any disruptive behaviour on www.scopeproperty.co.uk, Scope Property Services can use whatever information that is available to it about you to stop such behaviour. This may involve informing relevant third parties such as your employer, e-mail/Internet provider and law enforcement agencies about the content. We will not contact you for promotional purposes, such as notifying you of improvements to the service or new services on www.scopeproperty.co.uk unless you specifically agree to be contacted for such purposes at the time you submit your information on the site, or at a later time if you sign up specifically to receive such promotional services. As far as is reasonably possible, Scope Property Services will ensure that information provided on this website is accurate. Scope Property Services cannot accept any liability whatsoever for omission or error. Equally, as we regularly virus check materials, we cannot accept any responsibility for any disruption of damage that may occur during use of this website. Users of this site may not print, download or in any manner copy images or text from the site, except for personal, non-commercial use, without permission from Scope Property Services. Please email us at [email protected].